Lorraine is an fully accredited Counsellor and Psychotherapist proudly holding an MSc in Integrative Counselling and Psychotherapy, specializing in Trauma. She integrates Person Centred, CBT, Psychosynthesis and Psychodynamic approaches in her work. She is also very much influenced by Attachment theory. 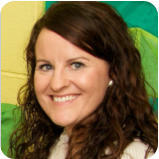 Lorraine has worked as a trainee Psychotherapist with the HSE Mental Health outpatient care in Kildare Town. She also worked at the Newlands Institute for Counselling and Turning Point Counselling and Psychotherapy Service, Dun Laoraighe, before setting up Private Practice in Naas, Co. Kildare in 2014. She works with a range of issues including relationship issues, stress eg. work related, parenting issues, bereavement and loss, loss due to emigration, anxiety and anger, depression, trauma and childhood issues. Further to her work in counselling and psychotherapy Lorraine educates parents in child development focusing on the early years. She is part of a team rolling out the Lifestart Programme at An Cosán, Tallaght, Dublin 24. Prior to this Lorraine worked as a Social Care Worker and Senior Social Care Worker for over six years since 2007 with children and families in the care system. Through this work she has dealt with behavioural issues, child psychiatric issues, anorexia, drug and alcohol misuse problems, family breakdown and support. She has a wealth of experience in parenting support and skills.